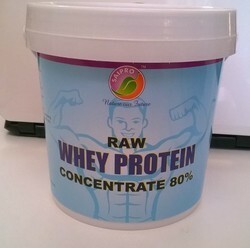 Providing you the best range of raw whey protein concentrate instant 80% - 1kg (2.2 lb), raw whey protein concentrate 80% (instant) - 2kg (4.4 lb), almond powder (chocolate flavor), raw banana powder, coconut milk powder and almond powder (roasted) with effective & timely delivery. 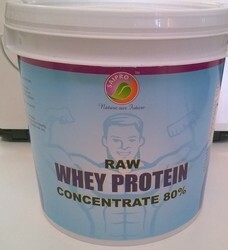 1KG - 100% Raw Whey Protein Concentrate Instant 80%. Usage Prepare Almond Chocolate Milk Shake. Best Quality. 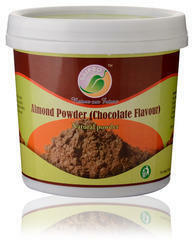 350g Almond Powder (Chocolate Flavor). Natural Powder. Premium Quality. Useful for Natural Almond Milk Shake. You Can Purchase Online. Free Door Delivery. Almonds are notoriously healthy nuts providing a good amount of manganese and vitamin E , as well as a healthy serving of monounsaturated fats in each 1/4 cup serving. Not only do almonds have a healthy boost of protein, they are also very low in carbohydrates and inherently gluten free. 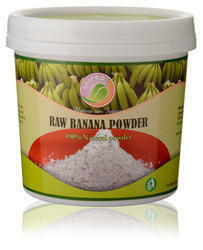 400g Raw / Green Banana Powder. 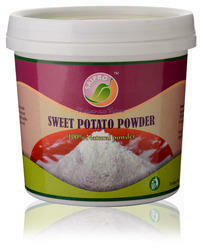 100% Natural Powder of Green Banana. Premium Quality Product. As noted by Authority Nutrition, "before it ripens, a banana is almost entirely starch, which composes up to 70 to 80 percent of its dry weight. A large part of this starch is digestive-resistant starch. As the banana ripens, the amount of starch and resistant starch decreases and is converted into sugars." Green bananas are "starchier", but the type of starch they contain is resistant starch. Resistant starch is a type of starch that isn't digested in the same way as most starches. Instead of being broken down, they pass through the intestines unchanged – which gives them the characteristics of an insoluble fiber. 300g Coconut Milk Powder. Premium Quality. 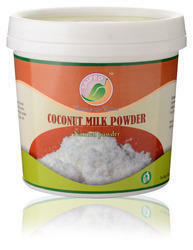 Natural Powder of Coconut Milk. You can purchase online. You will get door delivery free of cost. Coconuts are highly nutritious and rich in fiber, vitamins C, E, B1, B3, B5 and B6 and minerals including iron, selenium, sodium, calcium, magnesium and phosphorous. Unlike cow's milk, coconut milk is lactose free so can be used as a milk substitute by those with lactose intolerance. 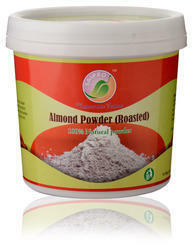 350g Almond Powder (Roasted). 100% Pure Powder. Premium Quality @ low price. 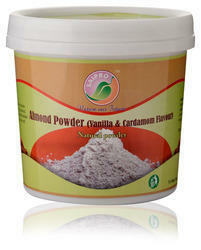 350g Almond Powder (Vanilla Cardamom Flavor). Natural Powder. 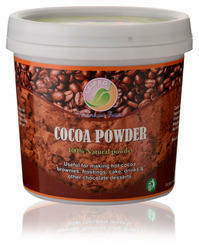 300g Cocoa Powder. 100% Natural Powder. You can Purchase online, you will get free door delivery. 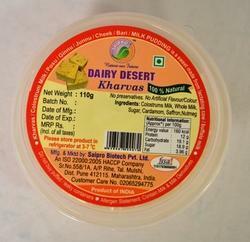 This Healthy Dairy Dessert having different Names in India like Kharvas (Marathi), Colostrum Milk (English), Cheek (Hindi), Ginnu (kannada), Posu (Konkani), Bari (Gujrati), Junnu (Telgu) or Milk pudding is a sweet made from lactating Cow / Buffalo milk. Looking for Retail Online Products ?